Ligaments are strong bands of tissue connecting bones and crossing joints, and act to stabilise the elbow. A sprain involves the stretching or tearing of elbow ligaments. Many sports are prone to elbow sprains, particularly sports involving throwing, and often involve the medial collateral ligament. Elbow sprains are also common in gymnastics. The elbow contains several important ligaments, the two most important being the ulnar (medial) collateral ligament and the radial (lateral) collateral ligament. The ulnar (medial) collateral ligament is composed of three strong bands that reinforce the medial side of the capsule. These ligaments connect the humerus bone to the ulna and act together to stabilise the elbow. Additionally, the annular ligament envelopes the head of the radius bone and holds it firmly against the ulna. Sudden, abnormal twisting of the arm. Falling on an outstretched arm. 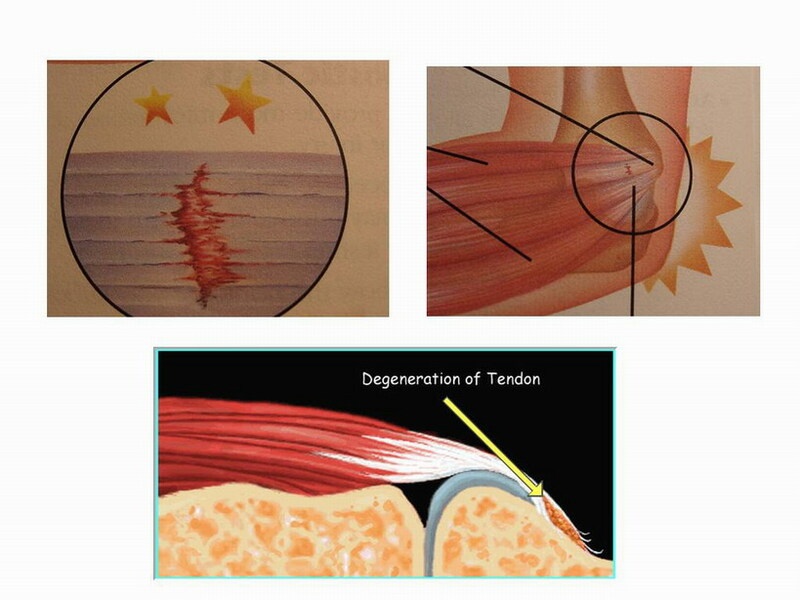 Deficient strength in arm ligaments and muscles. Pain, tenderness, and swelling in the area of the elbow joint. Bruising around the elbow. Limited range of motion in the arm. Sprains, particularly when they are severe, can lead to future painful or disabling symptoms, including stability and weakness in the elbow, limited range of motion and occasionally, osteoarthritis. Proper athletic technique, avoiding exercise during periods of fatigue, and protective sportswear including padding can all reduce the risk of elbow sprains. Following initial healing, range of motion exercises and gradual return to athletic activity will help restore flexibility. Often for a time however, a supportive brace may be used to prevent sudden re-injury. Depending on the severity of the sprain and general health of the patient, minor sprains heal thoroughly without future complication. Older athletes or those who have suffered severe sprain (including sprains occurring in conjunction with fractures or dislocations), may suffer some impairment of movement and pain associated with arthritis.